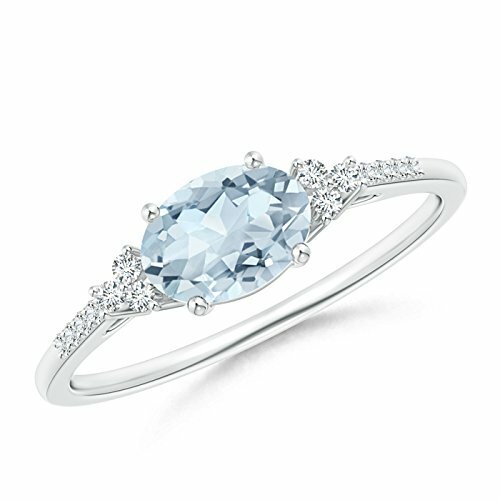 Horizontally secured at the center of this fascinating solitaire ring is an oval aquamarine. Trios of shimmering diamonds flank the icy blue gemstone and additional diamond accents adorn the shoulders. The aquamarine and the diamonds in this silver east west ring are prong set for utmost brilliance.